29-year-old Travis Reinking is being hunted by police as the main suspect in a bizarre Waffle House shooting. 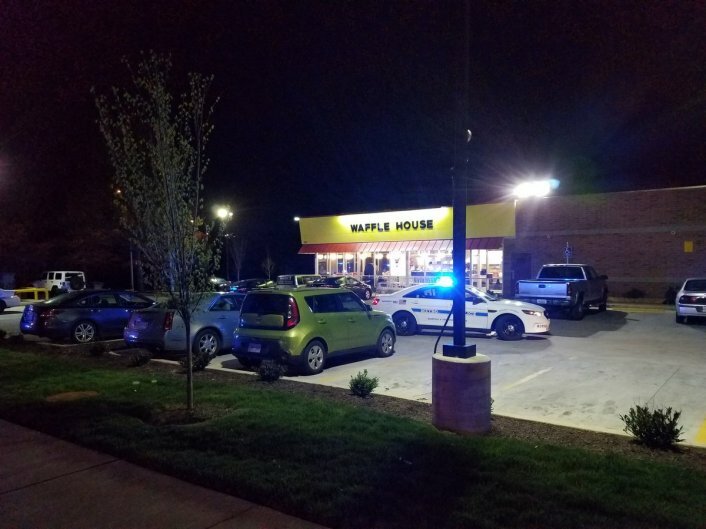 Witnesses Say Reinking walked into the Antioch, TN Waffle House naked except for a green jacket. He then proceeded to shoot and kill four people before a customer managed to wrestle the gun away from him. Travis then threw off his jacket and ran out of the Waffle House fully naked. There is no known motive for the murders. Travis Reinking is currently at-large.